On your mobile? Click here. 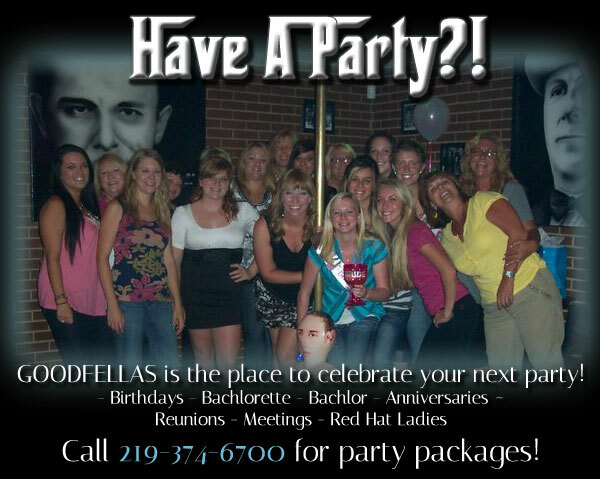 Come "Hide Out" with the gang! 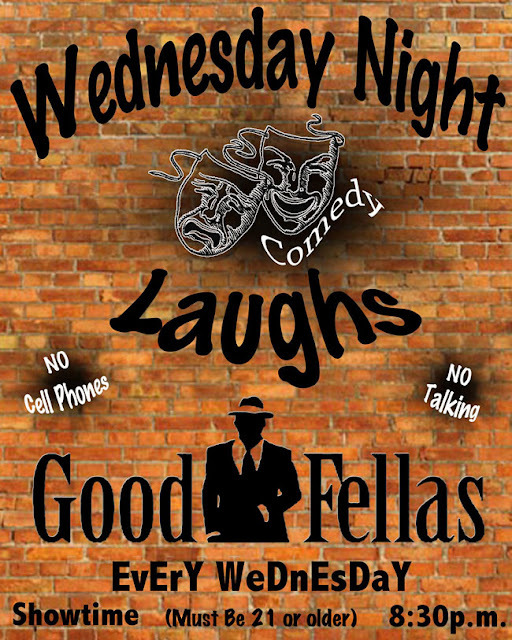 Goodfellas Bar and Grill brings good times and great food to the NW Indiana area. We offer a fun, relaxing speakeasy atmosphere both inside our bar and dining room, as well as, outdoors in our Chicago-style brick courtyard area, where songs from Dean Martin and the Rat Pack fill the airwaves. Our famous pizzas are made with our signature dough, fresh mozzarella cheese, homemade sauce & a variety of the freshest and finest toppings available. 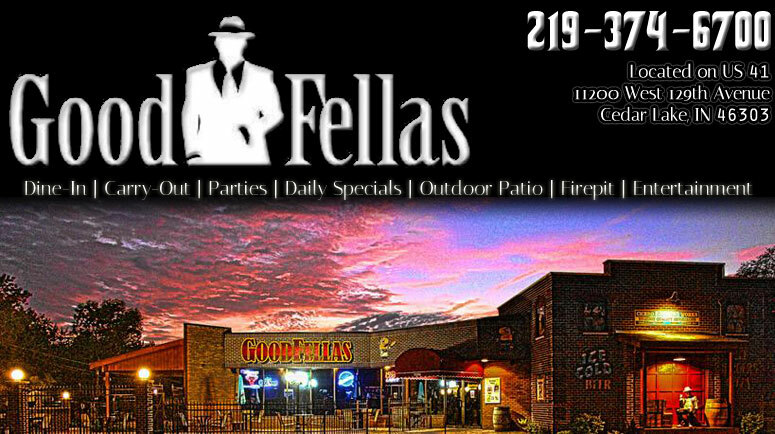 A big part of the Goodfellas experience is the friendly service, the well-crafted cocktails, the greatest selection of appetizers, and especially the prohibition era ambiance. And we can't forget to mention we have our over-sized, cooked to order pasta selections, and several choices of fresh salads & chicken wraps for you to choose from. If that's not enough, try one of our many chicken dishes, rib-eye steak sandwich or our incredible hickory-smoked BBQ ribs smothered in our signature sauce. The food is delicious! high quality food at excellent prices! See our entertainment for the weekly and special events schedule!